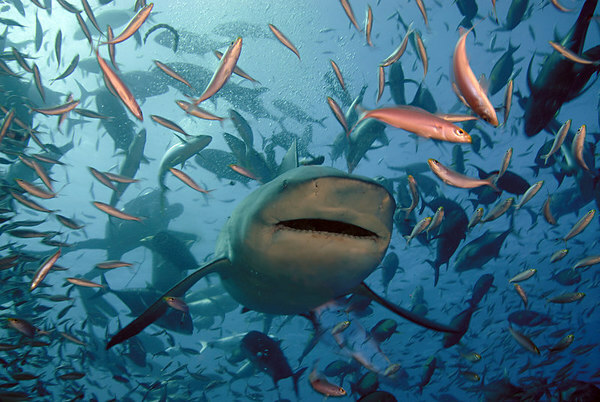 Bull sharks are commonly listed as the shark third most responsible for attacks on man. Because of their tolerance to fresh water and habit of coming in close to shore, the bull shark may be one of the most dangerous sharks. wow! i love this shot, it goes to show how sharks reputation about attacking everything that moves is incorrect. it also shows what rich marine life the fiji islands have. beautiful!